HIV/AIDS is an important public health problem globally. An affordable, easy-to-deliver and protective HIV vaccine is therefore required to curb the pandemic from spreading further. Recombinant Salmonella bacteria can be harnessed to vector HIV antigens or DNA vaccines to the immune system for induction of specific protective immunity. These are capable of activating the innate, humoral and cellular immune responses at both mucosal and systemic compartments. Several studies have already demonstrated the utility of live recombinant Salmonella in delivering expressed foreign antigens as well as DNA vaccines to the host immune system. 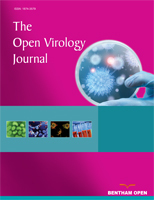 This review gives an overview of the studies in which recombinant Salmonella bacteria were used to vector HIV/AIDS antigens and DNA vaccines. Most of the recombinant Salmonella-based HIV/AIDS vaccines developed so far have only been tested in animals (mainly mice) and are yet to reach human trials. Keywords: : Salmonella, bacteria, vectoring, HIV/AIDS, antigens, DNA, vaccines..
© Chin’ombe and Ruhanya; Licensee Bentham Open..